Big confession: I am a closeted (or maybe not so much if you know me) germaphobe. Sending my toddler to preschool, when I had worked so hard to keep him healthy for the first 2 1/2 years of his life, almost sent me into major panic and anxiety attacks. 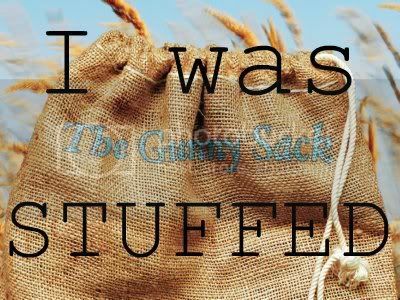 It felt like I was essentially putting him in a situation where he was going to get sick, for sure, all the time. I won't say I was wrong, but it could have been worse I am sure. I also dislike working with raw meats, hand sanitizer probably pulses through my veins (as well as my children's), and I wash my hands so many times when cooking and baking I could pass FDA inspection. Given all this, I am sure you can guess that I would not be one eat raw cookie dough, in fact, I can't even watch someone else do it. Then, I saw the most wonderful thing...EGG-LESS cookie dough dips and truffles! The heavens opened up and sang. All though I can't usually justify making cookie dough to just eat, this week is my youngest son's birthday party and I need another dessert (Ok, maybe I don't NEED another dessert for it, but really, you can never have too many). Perfect time to make some monster cookie dough truffles ( I LOOOOVE monster cookies!). 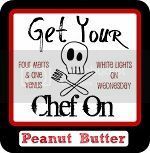 In a medium bowl, using a hand mixer or stand mixer, cream together peanut butter and butter until it is smooth and lightens in color slightly. Add in brown sugar, powdered sugar, and vanilla and mix until smooth. Add oats and mix well to combine. Place M&M's in a small bag and use a rolling pin or heavy pan to break them into smaller pieces. Add this and the 6 oz. of semi-sweet chocolate chips to the the dough and mix well. Using a 2 tsp. cookie dough scoop, scoop out truffle centers onto a parchment or foil lined cookie sheet. Roll the centers in your hands to make smooth balls. Place in freezer for 1 hour to chill and firm up. Melt the 12 to 16 oz. of semi-sweet chocolate chips in the microwave in 30 second intervals, stirring in between until melted and smooth. Using a fork, roll the chilled truffle centers in the melted chocolate. Remove using a fork or a tooth pick and return to lined cookie sheet. Chill in fridge until the chocolate has set, or store in freezer. Although I am not a germaphobic, I wash my hands a many times a day... just because I can't stand them being dirty. I believe that the reason that there are so many different illness out there is that a person doesn't let themselves get immuned. I don't get sick very often knock wood, (hitting my head.) But I do eat cookie and cake dough and growing up when we baked at home we always had to leave some raw cookie dough for my dad ~ he love it. I hope you aren't cringing too hard right now :). But this recipe looks awesome and I will be pinning it to make these. I made it through without cringing too bad :). I won't lie, I envy those that can lick a bowl of brownie batter or nibble at the cookie dough without a care in the world... The final products taste great, I can only imagine how good the batter taste! Thank you so much for stopping by and sharing your story, means a lot. Have a wonderful night. Im so happy to have you join us! I also have a link party on sundays. 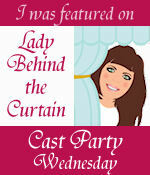 This weeks is at http://mommyssweetconfessions.blogspot.com/2012/09/sweet-confessions-sunday-link-party-5.html . love to see you there, bring some friends too! Oh your recipes are delicious!! Can i follow you with gfc? I could not find the thing to click on! I would love to follow. This is a really dumb question, but what is gfc? If you are referring to google friend connect, I do not have that, and it looks like it was retired in march, but I do have google + connect, and that is at the top of the page on the right hand side, its a g+ icon next to the facebook, pinterest, email, etc buttons. i have to make these, they look amazing! thank you for stopping over and visiting! I will definitely stop by! Okay, these look really amazing. Oh wow! I'll take 3 of these right now with my coffee! Will have to find a reason to make these soon. These look so sinfully delicious = perfect! I love that you created these truffles with all the monster cookie mixins. I have to admit I have no problem eating raw cookie dough with eggs;-) but with this I don't even have to worry!!! Yup, no worries here! Thanks for visiting! Ha! I won't eat cookie dough either - yikes! But eggless? I'm in! These look wonderful! Thanks for stopping by! Eggless cookie dough rocks! These look absolutely delicious! Thanks for sharing on Foodie Friends Friday! Please come back and VOTE on Sunday! WOW! I'd sure love to pop a few of these in my mouth right NOW! They look so tasty. 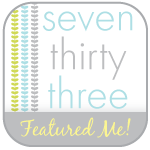 Congrats on being featured at Mix it up Monday! I'd say you deserve the honor for sure. Thank you so much for stopping by! Wonderful to see you! Thanks for sharing on Foodie Friends Friday! I will be sharing this on my facebook page! Looks so goooooood! I'm pinning! Cookie Monster would be all over these! They look delicious. I featured them as part of my link party wrap up today! Thank you so much for featuring them, I am thrilled! I love monster cookies too! I like to put mini M&Ms in mine. These look awesome. I can't wait to try them. Thanks for sharing at Mom's Library! If I had them, they would have been perfect! I was just too lazy to drive to the store for them lol! Thank you for hosting as always, love the party! Mouth...is...watering! These look soooo good. No chance I can get you to mail me some of these is there? No? I guess I'll have to make these myself. Thanks so much for sharing. Love from your newest Facebook and Twitter follower, Whimsically Homemade. If I could I would, but I don't think they would last sadly :) Enjoy the making and the eating! Thanks so much for hosting your wonderful parties, and for stopping by! Thanks so much for stopping by, wonderful to see you! And I agree, it is good for them to build up immunities, but it does kill me to let it happen lol. OMG Lindsay! These look sooo good! 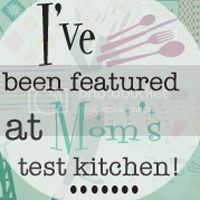 Thank you so much for linking up to Iron Chef Mom and I hope we'll see you back soon! I love cookie dough truffles -these look so awesome, Aimee! Let me know if you have any leftovers that you can send me.